Not your average family business. 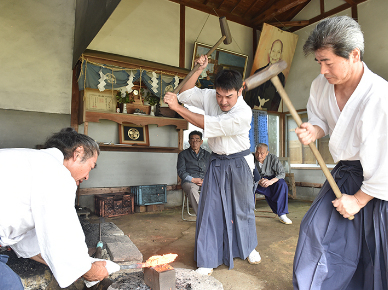 There aren't many swordsmiths in Japan - we've read it's now somewhere around 180 - and few have the time and resources to apply their skills to the production of kitchen knives. Shiro Kunimitsu is one, with a proud history of swordmaking that began in 1786. We're talking serious pedigree, and blades valued at upwards of twenty thousand dollars. Fortunately their kitchen knives are more attainable, and infinitely more practical in the home.